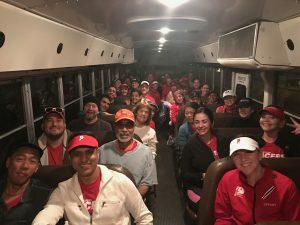 Looking for a ride to the start line of the 2019 Los Angeles Marathon? We got you covered. Sign and return the waiver found HERE. First come, first serve. No refunds or exchanges. The shuttle will depart precisely at 4:45 AM from Del Mar Station so don’t be late!